With the XF-series XF250Q Bbmiiprx 24.5" 16:9 144 Hz LCD Monitor from Acer, you can game without the lag thanks to a 1 ms response time, a 144 Hz refresh rate, and support for AMD Free-Sync technology. In addition to the enhanced gaming features, this TN (Twisted Nematic) monitor also features a 1920 x 1080 resolution, a 400 cd/m² brightness rating, and support for up to 16.7 million colors. Installation is simple as this XF-series display comes with both HDMI and DisplayPort inputs and also includes dual 4W speakers for a complete multimedia viewing experience. 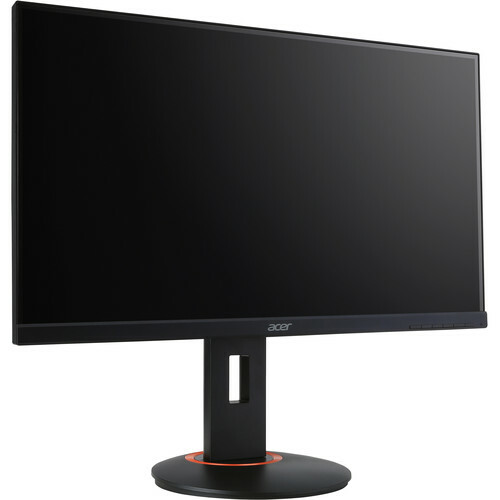 Box Dimensions (LxWxH) 24.3 x 17.6 x 7.0"
Is the 144hz version of this monitor also G-sync compatible? I am aware that the 240hz version is but haven't heard anything about the 144hz one.